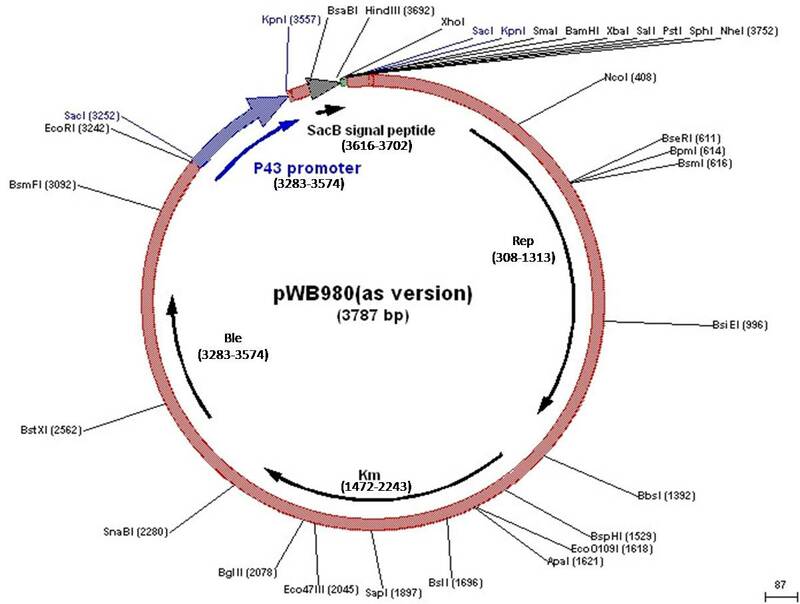 Sau-Ching Wu, Sui-Lam Wong Development of improved pUB110-based vectors for expression and secretion studies in Bacillus subtilis Journal of Biotechnology 1999，72，185–195. Wong, S.-L. Development of an inducible and enhancible expression and secretion system in Bacillus subtilis. Gene, 1989，83, 215–223.